The word ‚Wagyu‘ comes from the Japanese (Wa = Japanese, Gyu = Cow). Since Wagyus yield the most expensive meat in the world, as a product, it stands for luxury and quality like no other. This breed of cattle, bred in Japan and well-known as Kobe beef, has not always been considered to be a delicacy. Owing to their particular intramuscular fat distribution and high levels of stamina, Wagyus were predestined to become beasts of burden and were provided to paddy field workers by order. This has since changed. 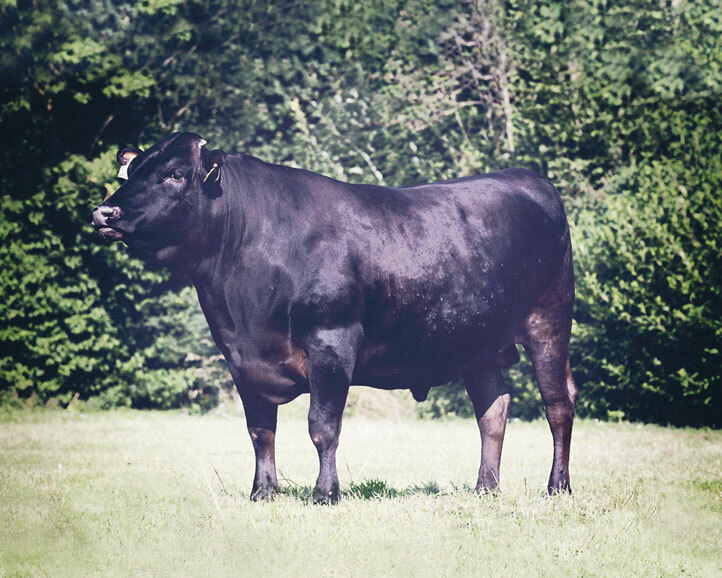 Due to their specific genes, this breed of cow has a higher muscle-fat distribution and a typical marbling of the meat which produces an unsurpassable taste.Various bloodlines exist within the Wagyu breed. Tajima and Itozakura are two of the most important. The first step was then taken – these high level bloodlines were combined. The basis of high-quality meat is a perfect ratio of muscle mass to marbling.